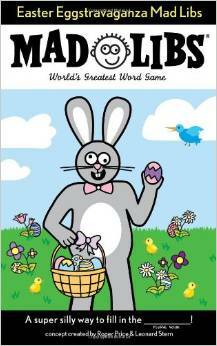 Easter is soon approaching and you may be fretting a bit over what to put in your child’s Easter basket. Each year it seems like the Easter bunny only has one thing to pass out which is a sugar high resulting in a major pain in the behinds of parents everywhere. So if you’re looking for a sugar free Easter this year, look no further (after you read this list, that is). I searched high and low to provide you with this ultimate list of awesome, creative and unique non candy Easter basket stuffers for kids. Just click on the name of the item or the image to find out more info on the product. Seasonal items sell out quickly so if the link has been removed, the item is not currently available. 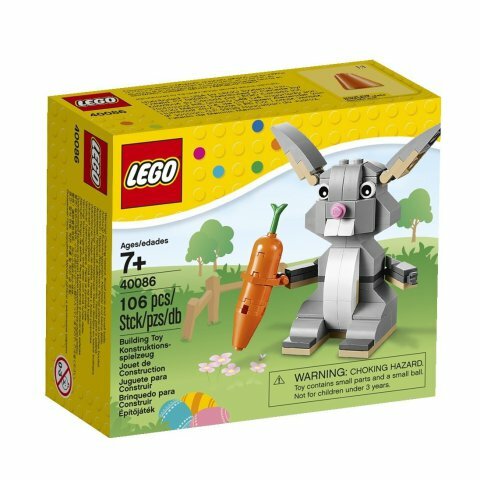 So if you can't find what you like, take a look for a more current list of available non-candy easter items here on Amazon. 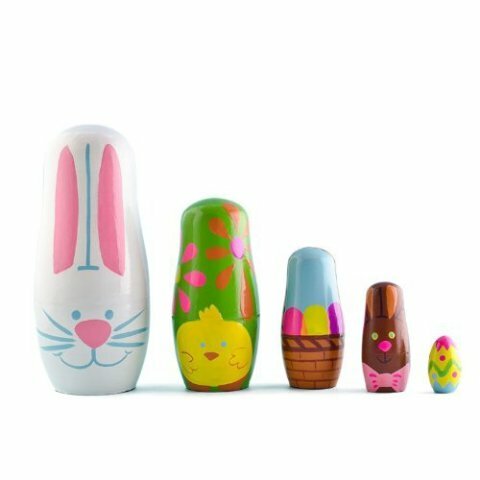 How adorable is this 5 piece set of Easter nesting dolls? Kids would have so much fun opening these up and having them as a keepsake for a long time. Legos are always a sure thing. They’re fun, they’re great for building fine motor skills, and they’re something kids and adults can enjoy together. 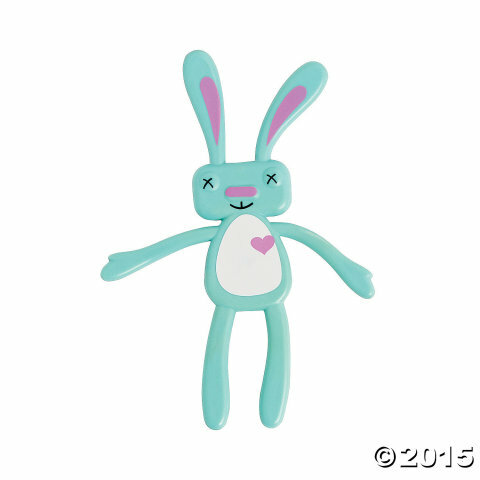 Bunny Logos are a sure winner! Give your kids a thrill with this fun holiday spin on a classic toy. Spend some quality time with your child after the day’s excitement has died down. 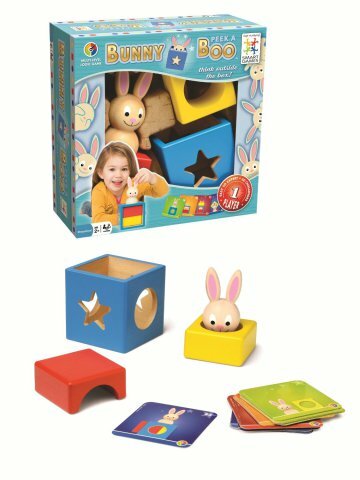 Recommended for children ages 2-5, Smart Games Bunny Peek-A-Boo is a fun game that introduces math concepts. 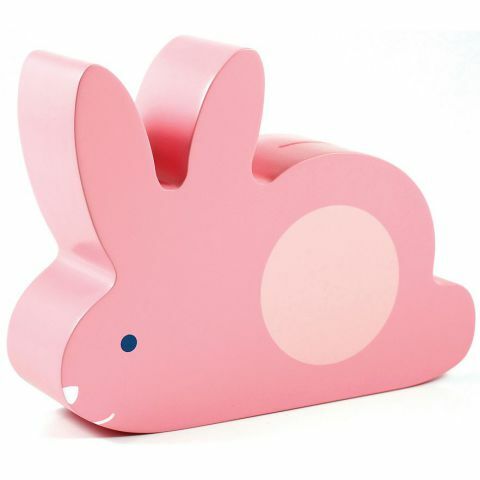 This wooden rabbit bank by Pearhead is adorable and a quality gift that your child can make use of for a long time. This is 24 pieces of pure cute. 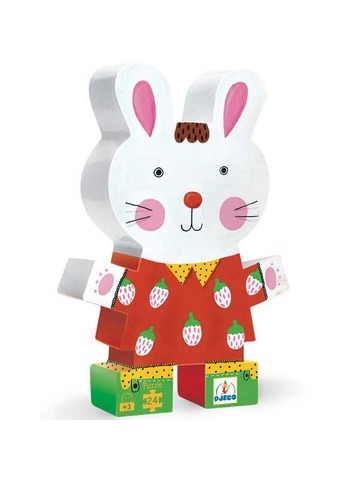 I searched everywhere for the perfect bunny puzzle and hit the jackpot. 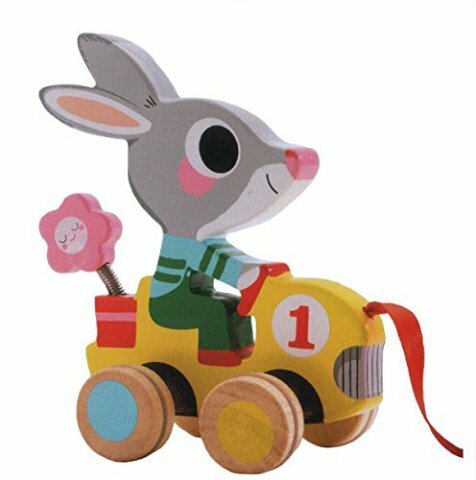 Quality made with fun colors and design, this rabbit racer pull toy will be something your kids can enjoy while they’re still little and can also keep and display when they get older. 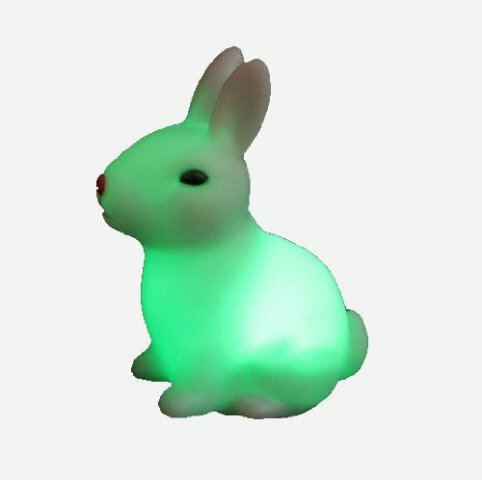 Light up your little one’s life with this 7 color changing rabbit night light. If you have a picky eater on your hands, this 4 piece sushi mold set may save the day. 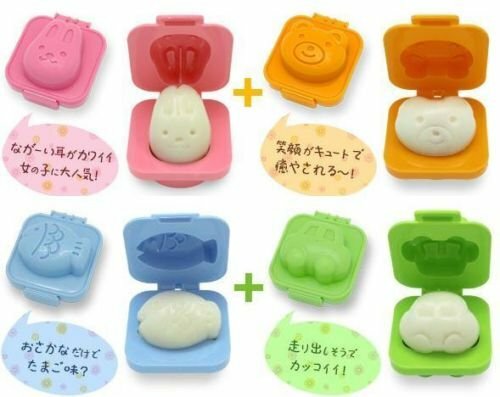 Listed as a boiled egg/sushi mold, this mold can be used for sandwiches, cakes, jello, etc. Molding foods into fun shapes makes food items a little more appealing to picky tots. 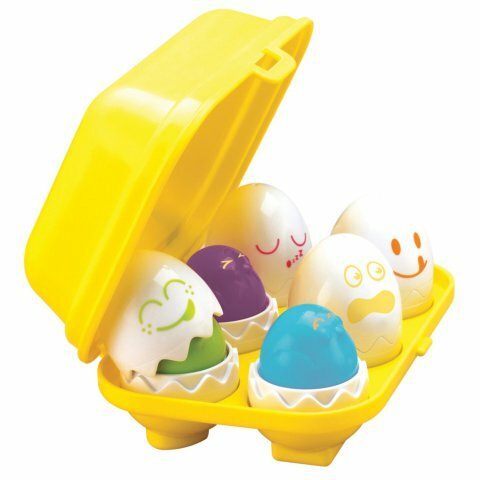 This fun little carton teaches kids shapes and how to match with the added delight of squeaking when you push down on the eggs. What kid wouldn’t love this? Add a little Easter style with this set of bunny nail polish from Justice. This basically looks like the Easter bunny’s version of jenga. These bendy little toys will keep your kids giggling and occupied. 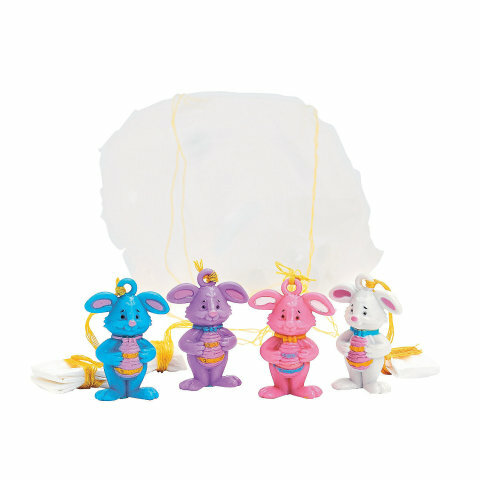 Have fun watching these colorful mini bunny paratroopers fall from the sky. 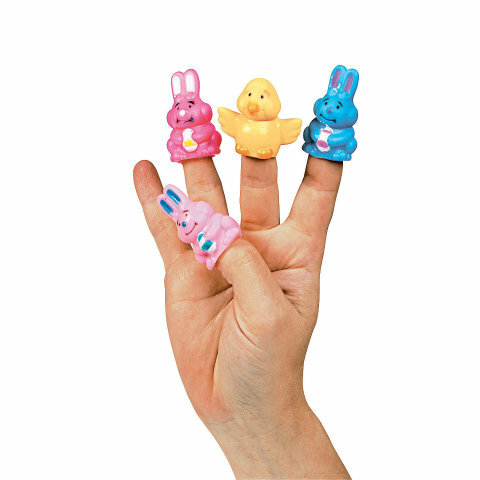 Broaden your child’s imagination with these vinyl funny bunny finger puppets. 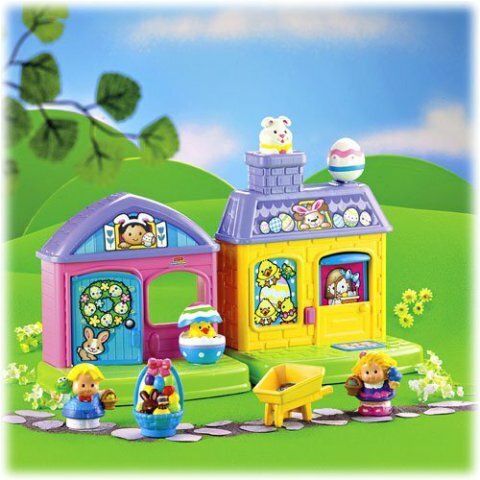 If your child likes Barbies, they’ll enjoy Mattel Barbie Cute Little Easter Sweeties. Hot Wheels are a classic toy that kids of all ages love playing with. Children love getting their faces painted. Make it fun and easy with this Easter face paint and stencil set. 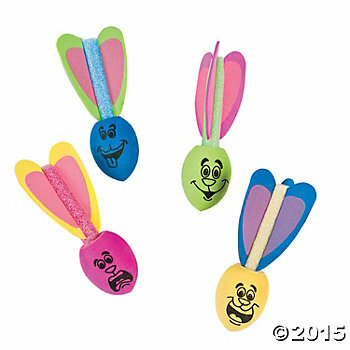 After hunting for eggs, have more fun in the back yard throwing around these fun bunny ear missiles. 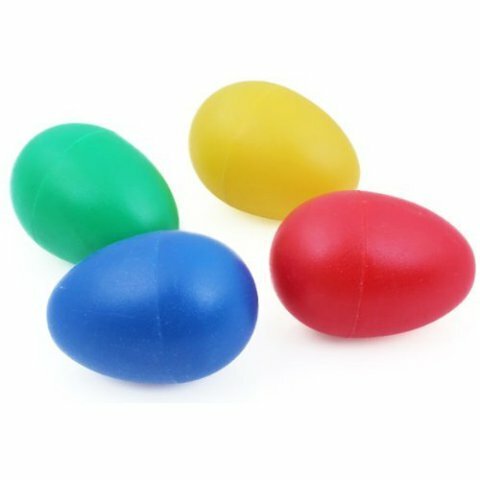 Tired of hiding boring plastic eggs? Try these raved about Animal Planet Grow Eggs. 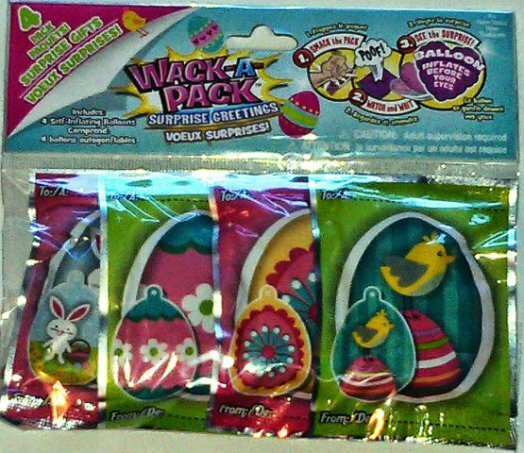 Simply put the egg in water and within 24 hours, the egg will crack and soon a surprise toy animal will hatch. 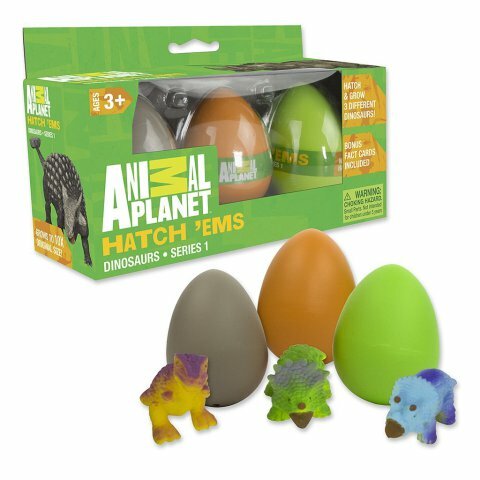 Animal Planet Grow Eggs sells dinosaur, safari, rain forest, and sea animal themed eggs. 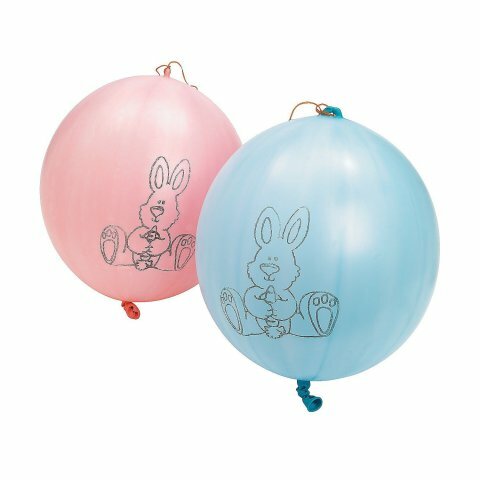 They might not look like much at first glance, but skip the plain, boring balloons this year and try these wack-a-pack balloons. Smack the pack and watch as the balloon inflates itself! Make music and memories this year with these fun musical egg maracas. 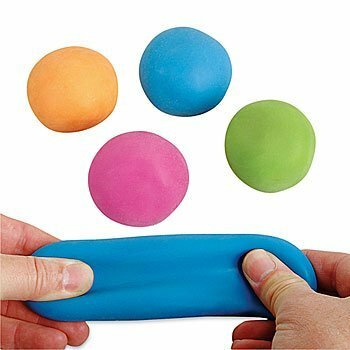 A stress ball that bounces? I don’t know about you, but I’m sold. Play Dough is another fun, classic toy you can’t go wrong with. 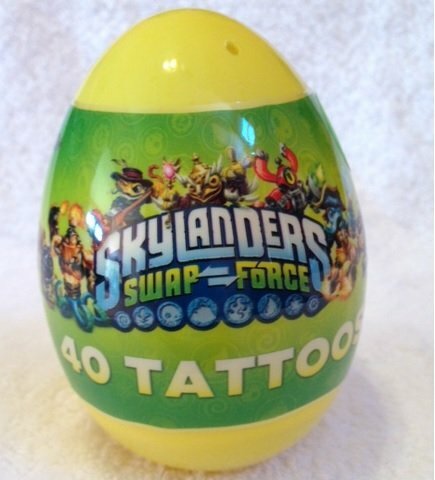 Get your child some fun Easter temporary tattoos or a fun egg filled with tattoos of your kid’s favorite characters like this Skylanders one. 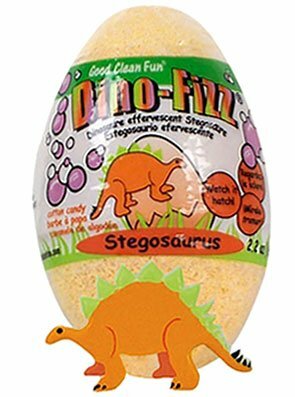 Add a little fun to bath time with these dino fizz bath eggs. 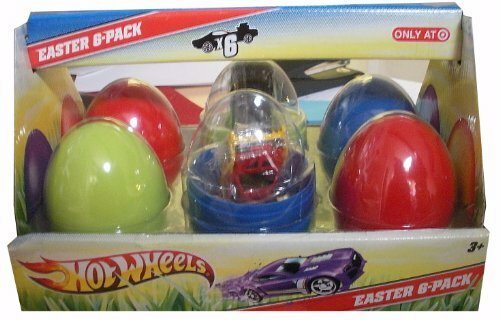 After the egg fizzes down, your child can enjoy the surprise dino toy inside. 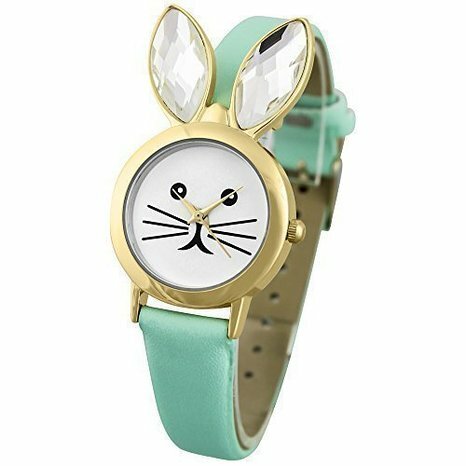 This adorable bunny watch comes in several colors and you can choose for the bunny to wear glasses or be glasses free. Little people love Fisher Price’s Little People. 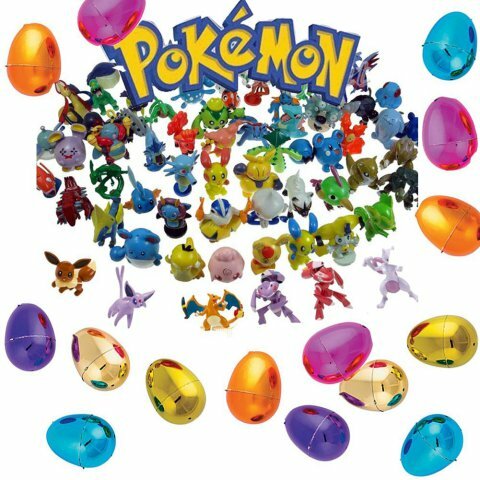 If your kid likes minifigures, they’ll enjoy this Legendary Pokemon Easter Set. Want to do something besides traditional fuzzy bunny ears? 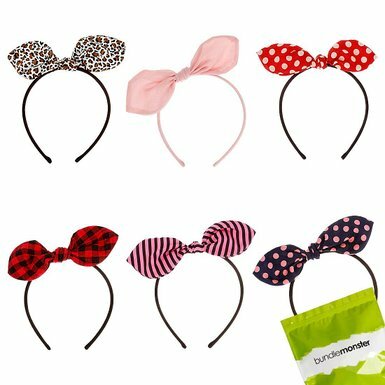 Check out these awesome bunny ear headbands. 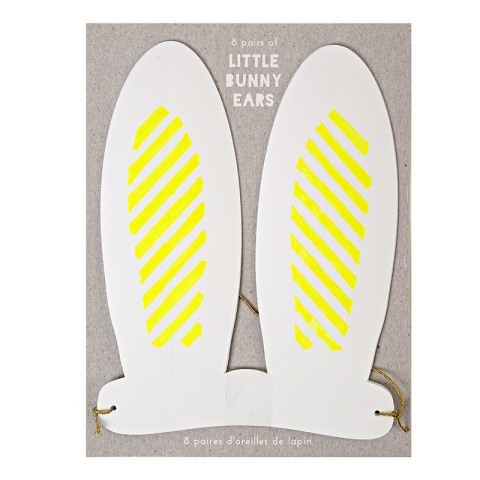 If you’re not into the headbands so much, these whimsical Little Bunny Ears are a fresh new, not so cheesy version of the traditional bunny ears. 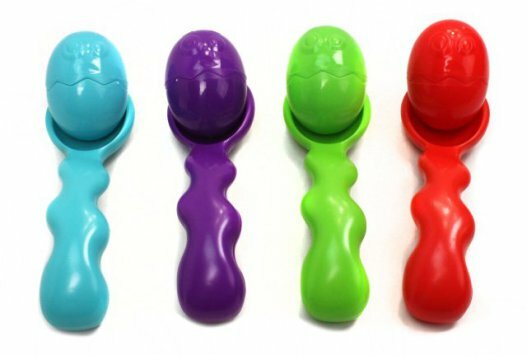 Have the fun without the mess with this plastic egg and spoon race set. I don’t know what it is about these things, but kids love them. 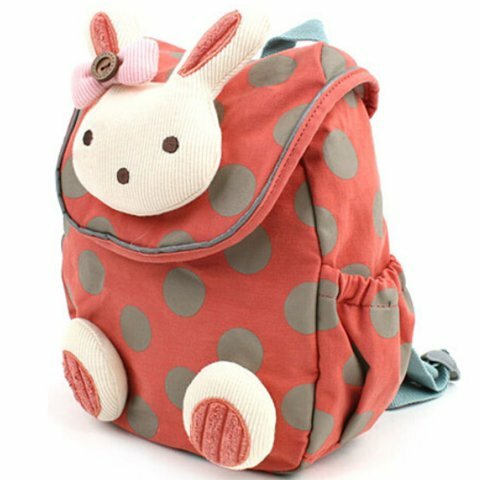 Instead of buying an easter egg basket that you won’t use again, why not get something your kid can put to use like this adorable rabbit backpack? 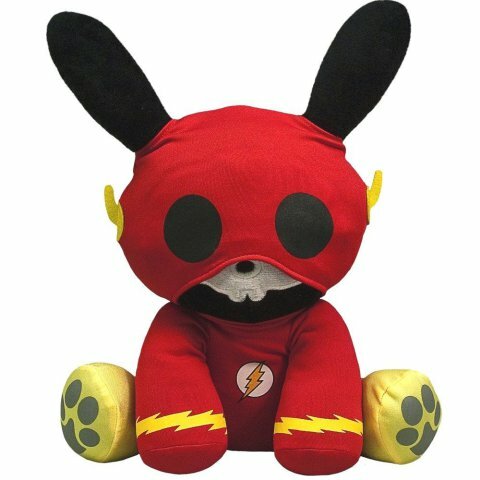 Skip the cheap, generic stuffed bunny and put something unique in your kid’s basket this year like this Flash Jack DC Skeleanimal. Have a rockin’ Easter. 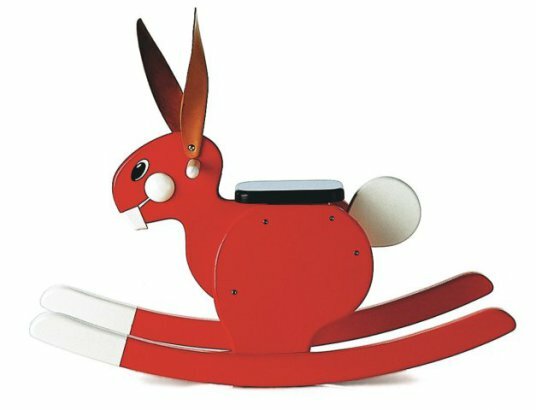 Although this won’t fit in a basket, this rocking rabbit couldn’t not make this list. 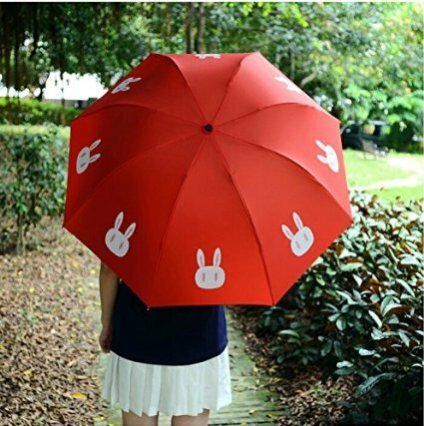 Perfect for rainy spring days, this bunny umbrella will surely brighten things up. 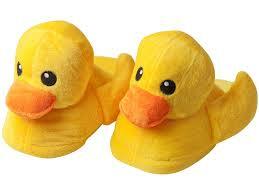 Kids will love slipping their feet into this cozy cute slippers. 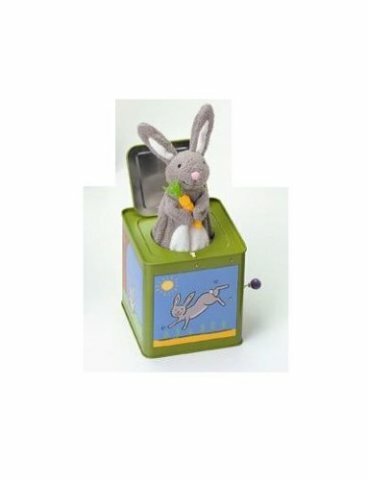 It's not exactly fitting the Easter theme, but I am including them as I think they may fun little gifts for kids. 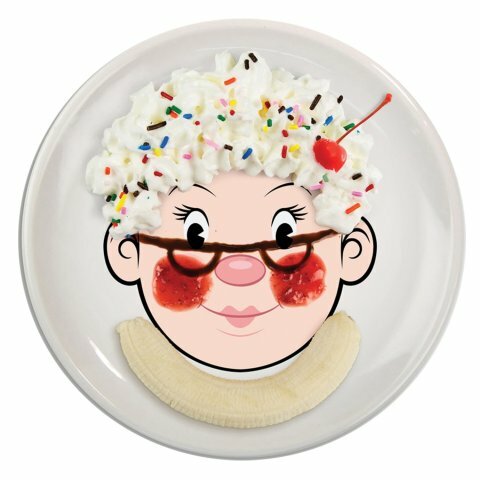 Make faces with your food on these fun plates. 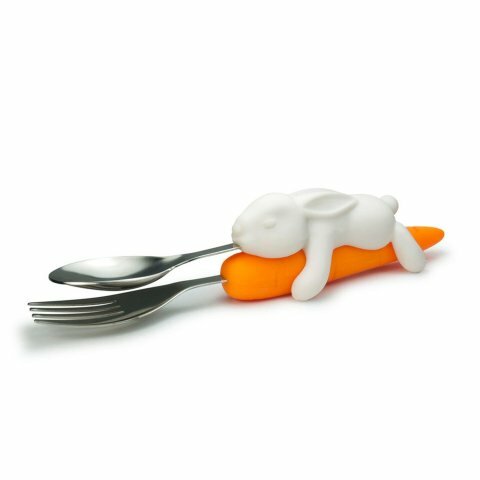 Perfect for playing with food using this bunny and carrot utensils. Happy Easter, we hope we’ve given you some great ideas to make this year extra special. Originally published March 2015 and updated March 2016.